Developing and frontier markets in Latin America & Caribbean present a potent mix of risk and opportunity for mining, energy, heavy industry and infrastructure development. Those with the necessary capital finance and insights can grasp sizable opportunities in a number of markets. Beyond the more established jurisdictions, a political change in attitudes is now presenting potentially undervalued or previously prohibited resource projects in countries from Argentina, México, Ecuador, Colombia, Guyana to even Haití. They encompass world-class extractive and heavy industry potential yet to be realized, billions of dollars of infrastructure needs and some of the largest oil, gas & renewable energy prospects. The playing field is though, not level. Challenges include radical political positions, fragile institutions, economic turbulence and social division. Competition over land and water combined with poor legal certainty and arbitrary governance remain, particularly in provincial areas. These all create serious bureaucratic hurdles mixed with political risks, especially when resource nationalism, regulation bias, corruption and lobbying from other industries interferes. Numerous unplanned impacts derail project timelines, upset budget estimates and cause lasting divisions and costs. Labor strike actions are exacerbated by government indifference to aggressive unions who wield voter power. Militant social protest groups continue to be fueled by inflation and populist politics. Marginalized groups have to resort to direct action in order for their voice to be heard. The clamor from communities, NGOs and demands from provincial government are as loud as ever. Some projects have been overwhelmed by the scale of opposition, not fully embraced sustainability and a shared purpose as a core project goal or found too many external factors beyond their control. Small-scale exploration projects affected now trade at a severe discount and face a lack of investor interest. Even some billion-dollar resource developments have seen a loss of their social and legal license to operate, their company reserves reclassified and suffered a corresponding fall in project NPV and corporate share-price. Recent years of lower commodity prices have created investor uncertainty, but conditions are improving. Values are more compelling for acquisitions, mergers, and joint-ventures. Governments across the region are now anxious for external investment and are enacting ground-breaking legislation to attract it. Infrastructure and heavy industry are facing a riskier credit environment and nerves caused by regional corruption scandals but, needs remain widespread. A confluence of conditions exists where sizable opportunities are within reach, yet market conditions are fragile and above ground risks cannot be ignored. Meanwhile, corporate managers face up to the social, financial and reputation implications of every choice. 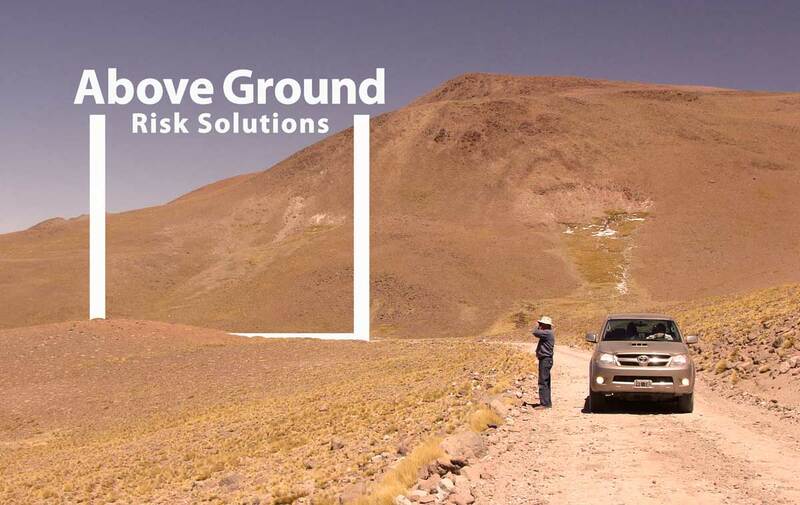 Above Ground Risk Solutions (‘AG-RS LLC’) is a risk management consultancy. Our mission is to help heavy industry projects resolve the increasing challenges of operating in fragile and complex environments. That is our specialist focus. We help projects gain and maintain stakeholder acceptance, optimize risks and safeguard project personnel and assets. Leveraging that expertise we also assist heavy industry, energy, infrastructure and development when they face similar challenges. 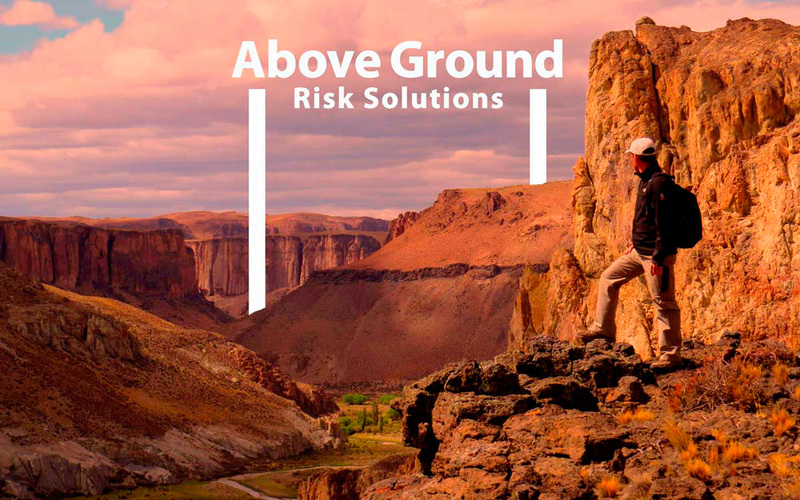 We join our clients in navigating through non-technical risks so they fully unlock the value within their project portfolio, with our geographic focus, personnel and best practice centered on Latin America & Caribbean. We deploy solutions with clients that help solve immediate concerns but where possible aim to also identify root causes, empower teams and build capacity to maintain solutions for the long term. For our work in conjunction with local teams and corporate security in the physical risk mitigation area we call this ‘sustainable security’. Our assistance can be surgical, on-going or periodic. We are though here to assist projects throughout the project lifecycle, from exploration, M&A, feasibility, design, construction, production to closure. We factor in the pressure points of each phase and look to leverage the opportunities that each one presents. We are passionate to help projects benefit all stakeholders, including the people, host communities and areas affected by development. For instance, our stakeholder analysis may show that creating a training center early on can allow local people to become skilled personnel, which both provides a solution to shallow resource pools as well as benefiting the populace. We will help projects to leverage risk management resources fully, maintain crucial stakeholder support and foresee as well as strengthen resilience to severe changes in the operating environment. Ultimately by proactively planning for the long term, we hope to assist them to create shared purpose and a positive legacy. risk mitigation is not enough. AG-RS LLC endeavours to ensure that the content of this website is accurate and up-to- date. users are encouraged to seek in all appropriate circumstances. Conditions, which take effect from the date of first use. by replying to the message and please delete it from your computer. regarding any other websites or the contents or materials on such websites.